The wines of our Domaine de Terres Blanches get brilliant results with, in particular, our 2016 White Sancerre “Le Vallon” (16/20) and our White Coteaux du Giennois “Alchimie” 2016 (15.5 /20). For the red wines, it is our Red Sancerre “La Louisonne” 2014 that drawed attention with a pretty rating of 15/20. 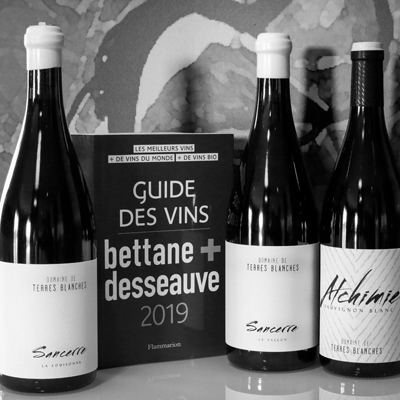 We hope that these notes attributed by the duo Bettane + Desseauve will make you want to discover our wines during your next tasting moments … Cheers!